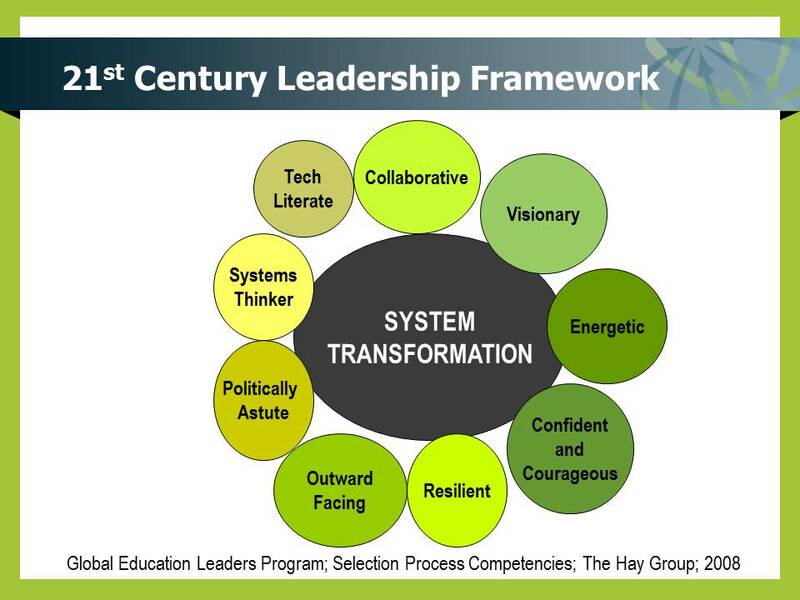 Whether a student, teacher or parent, it is important for each of us to look at what we bring to the table, be honest about our areas of strength, and build strong teams across roles and geography to lead system transformation. I have heard many presenters (including myself) exclaim that it is an exciting time to be in education. However, in leading system transformation, we need to bring collective action, capitalizing on our individual strengths to turn this excitement into something more tangible. Never before have teachers faced challenges such as those created by continually evolving information technologies. Five years ago, we found it difficult to imagine the concept of touch-screen computers, yet today the word “apps” is part of the vocabulary of our pre-schoolers. And many of our children are entering school completely at ease with computer technology, having the technical skills to create digital videos and participate in virtual spaces that were foreign to the generation that went before them. Students’ technical expertise must be nurtured and supported by their teachers. Yet our challenge as educators is far greater than simply staying up to date with advances in information technologies. We need to make sure our educational system creates environments to engage technically adept students, and that we use technology in our professional practice to support our students as critical thinkers, lifelong learners and ethical decision makers. Across our province and around the world, educators are wrestling with the implications of personally owned devices, coming to grips with the role for social media in education, and having rich debates on issues that speak to the core values of our system, including safety and equity. The increasing pace at which technology is evolving has also fostered an ongoing reflection on what the latest changes mean for our profession and what lies in store for the next decade. Without question, our profession is evolving. We are connecting across roles and geographies in new ways using blogs and Twitter. We’ve shifted from seeing technology as a way to support distance learning to looking for ways to make blended learning part of every student’s educational experience. And we are beginning to move beyond being excited about the tools themselves to looking for ways we can best use these tools to support learning goals and good pedagogy. As a profession, we need to take a critical look at the structure and content of teacher training programs. It is simply no longer acceptable for someone to enter our profession without some degree of digital literacy. Teachers entering our system need to know the how of using the tools and also the why. They need to apply their reflective and critical thinking skills to the digital space. I expect that the new teachers we hire into our schools will understand the suite of tools available to them, know how to model their use and be able to choose the appropriate tools to match learning objectives. I also expect new teachers to enter the profession with a mindset that the digital tools they are using now will likely be different a year from now. That is the way it should be, for it is not really about the tools themselves, but about the learning, which requires matching the best tools of the day to the process. These are not easy tasks, but they are essential. And some specifics for teacher training programs? Teacher education programs need to include a course on the history, philosophy and practical use of educational technology. Educational technology learning at teacher colleges should be grounded in research, pedagogy and the use of current technologies. Finally, technology should be taught to teachers in ways that are consistent with how we would like teachers to teach students in their classes. For those in the system, we need to commit to embedding technology and digital literacy in our growth plans and in all our ongoing professional development. Employers need to support teachers in the use of technology throughout their careers. This must go beyond the superficial. We must acknowledge that replacing lectures with digital lectures or online videos simply substitutes one mediocre practice for another. I have been in far too many classrooms where interactive whiteboards were a source of entertainment that facilitated “fake-learning” and did not truly support student learning. Technology is no longer an event, and “computer lab” is no longer a course. Digital tools are being used to support literacy, numeracy, social responsibility and the full gamut of goals in our system. To be relevant, engaging and current, we need to be committed in how we prepare teachers and how we support them throughout their careers in the thoughtful and purposeful infusion of technology into their professional practice. There are wonderful examples across Canada of education faculties embracing these ideals, and of districts, schools and classrooms across BC trying to figure out a better way to use technology every day. I like the saying that when it comes to teachers and technology it is okay to be where you are, it is just not okay to stay there. Thanks to Gary Kern, David Wees, Chris Wejr, and others on Twitter who contributed to this paper. Improvement and innovation need not be an either/or proposition. While most of the education debate is either around improving our current system, or creating a new one, Valerie Hannon, from the Innovation Unit, in her presentation around Balancing Strategic Priorities, argued for a split screen approach — an approach focussed on improving the system of today while simultaneously designing the system of tomorrow. Hannon argues that almost all jurisdictions have a range of innovative initiatives, often focused around student ownership, and very often spurred by learning technologies. At the same time, given the current reality, school improvement must continue. 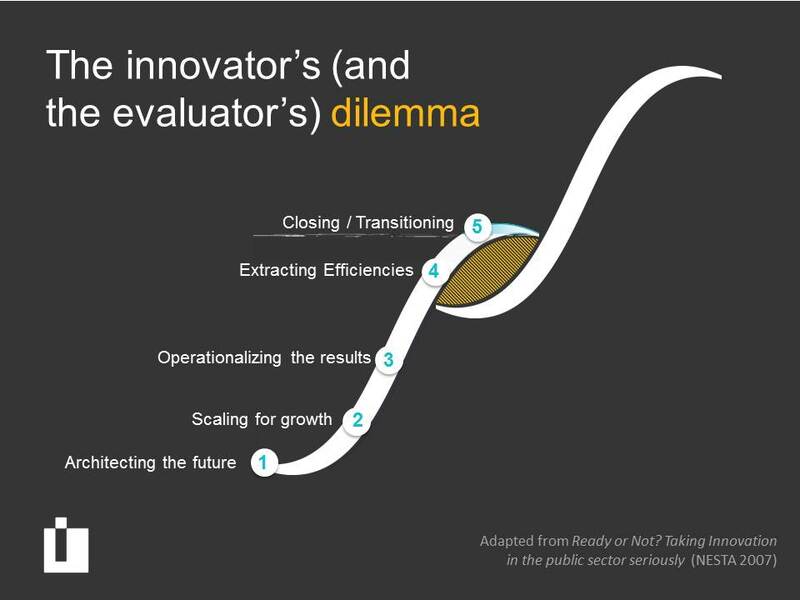 The challenge, she argues, is the innovator’s and evaluator’s dilemma (slide below) — eventually, the current wave of education results trails off, and we must jump into the next education growth curve. Clearly, what rings true in so many jurisdictions across North America, is the improvement in literacy and graduation rates over the last 20 years, but we are finding it challenging to move beyond a certain point. In British Columbia, despite all efforts over the past 10 years, graduation rates have plateaued at around 80%. It is evident, we cannot just ‘do more of the same’, we need to look at doing some things differently. The need then, is for innovation to overlap with a new wave and not just more of the same wave. In her presentation, Hannon quoted John Kao, “The most important characteristic of an innovative firm is that it has an explicit system of innovation which pervades the whole organisation, which is visible, known about, generates a stream of new ideas, and is seen as vital to creating new value”. It is what I often try to describe as a Culture of Yes, supporting creativity and innovations for learners and teachers. The perspective of the two curves, of improvement and innovation, resonates with West Vancouver’s story. We continue to perform at very high levels, but still look to improve. Whether it is numeracy, literacy or a host of other skills, we continue our search to improve. This is our absolute responsibility for all students in our schools right now. At the same time, we explore and consider the education systems we will need for the future, ones that further embrace flexibility, choice and offer greater personalization of learning. 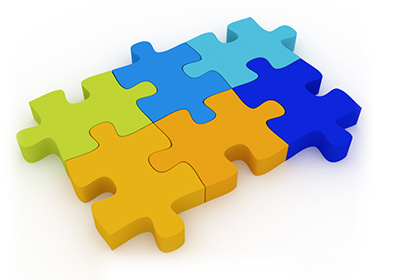 In essence, school improvement is tantamount to the important transformation work that occurs on the split screen. Finland has been setting the world benchmark, so many of us are chasing. 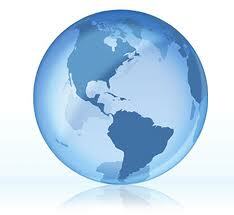 However, while they are widely seen as the strongest in the world, they have embarked on a change agenda. Are we picking up on the warning signals about the growing differences between schools and learning outcomes, and provision of education? Do we highlight higher-order skills, citizen skills needed for future lives in a systematic way? Do we enable teachers and students to flourish? Do we notice and care about non-conforming students? And what about . . .
• Engaging students (book learning versus experiential learning)? • Integration of the Arts and PE? What does their agenda look like for change? It was quite a remarkable presentation, because the content was familiar; it is very similar to the conversations we are having in British Columbia, another one of the very highest performing education systems in the world. It is also a narrative I hadn’t previously heard, as so many have told the Finnish story. There are differences in direction and our systems, but the overarching themes envisioned for both of these systems are quite similar. In a recent address to members of the Canadian Club of Vancouver, the Governor General of Canada, His Excellency, the Right Honourable David Johnston, talked about Canada being a “smart and caring nation”, a theme I have heard him speak on so eloquently before. Anyone who has achieved any degree of success and been placed in a leadership position can point to dozens of teachers, mentors and coaches who have made them better persons along the way. In my case, they number in the hundreds. During my term, we will find ways to properly recognize our teachers who are responsible for our intellectual development. If there is one trumpet call from my remarks today let it be “Cherish Our Teachers”. I have always had great admiration for the teachers and educators of this country. 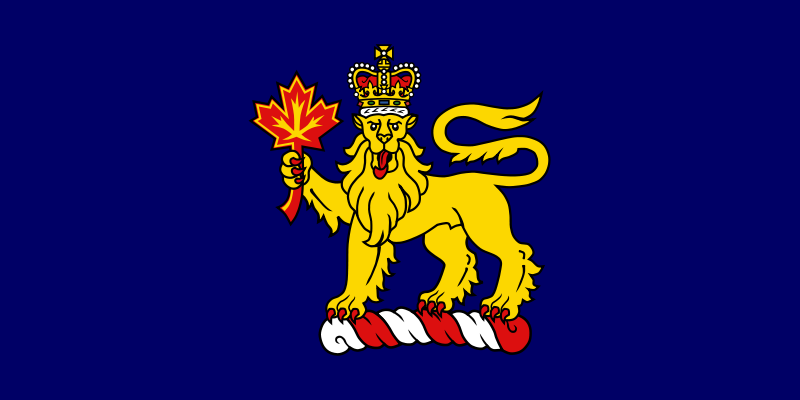 In this most recent speech I heard, the Governor General outlined 10 challenges “we need to address, both as caring Canadians and as a caring society, to improve volunteerism and philanthropy in Canada.” (Full text of speech here). His words are also part of a challenge as Canada moves toward its Sesquicentennial in 2017. The Governor General’s Canada vision resonates with me, and the Canada we want for our children — smart and caring. IF YOU RECEIVE THIS POST VIA EMAIL YOU WILL LIKELY HAVE TO GO TO THE SITE TO VIEW THE VIDEOS EMBEDDED BELOW. Sometimes I feel like we are the only district or province talking about school system design, and it can be a lonely conversation. After all, why change? We already have an extremely successful system. Every now and then, however, the topic is front and centre as was the case following the release of B.C.’s Education Plan last week. 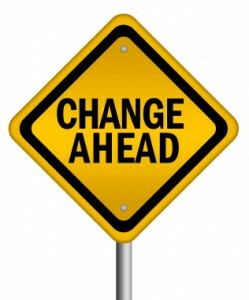 share our thoughts about the changes that need to take place. In seeing the video, I realize that we are saying some very similar things right across the country. These are exciting times to be part of this profession.